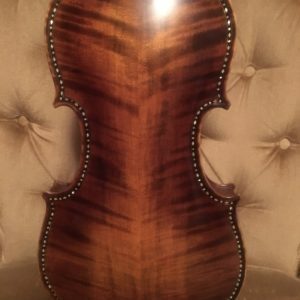 German violin, great projection and presence, incredible tone. 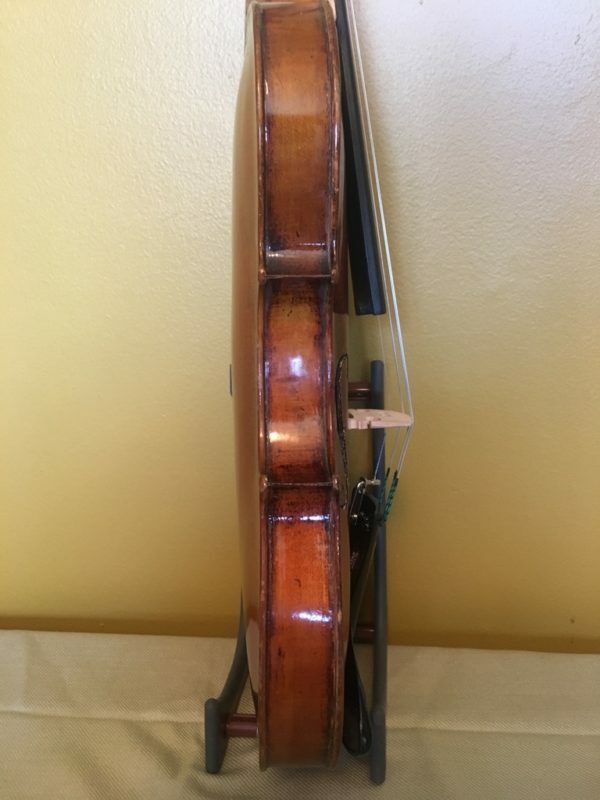 It has an Italian label reading: “REGENERATO Giovanni Orsi.” Many upgrades, including fingerboard refiling and re-gluing, new bridge, new nut, new strings, it’s ready to be played! 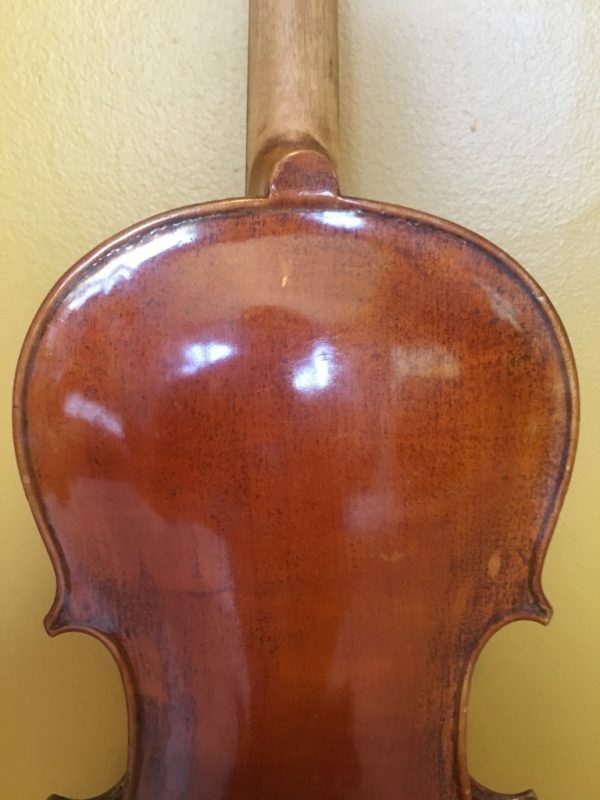 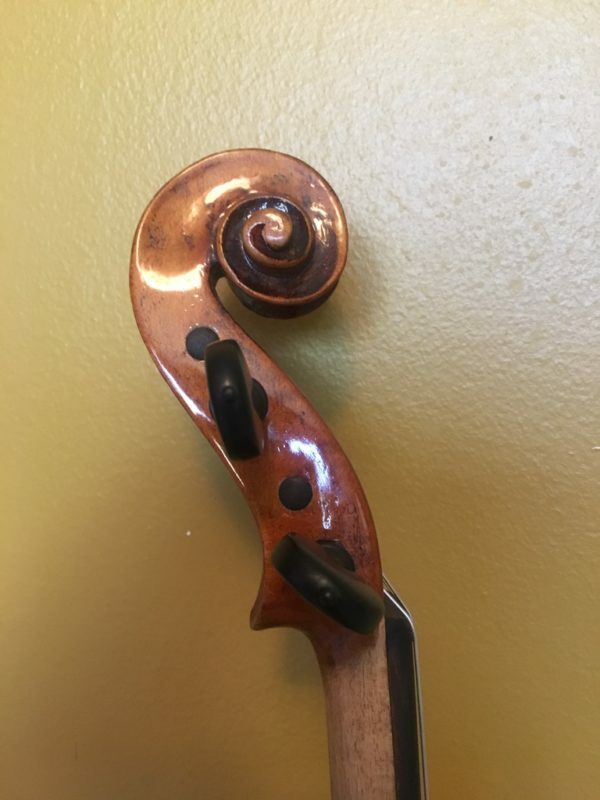 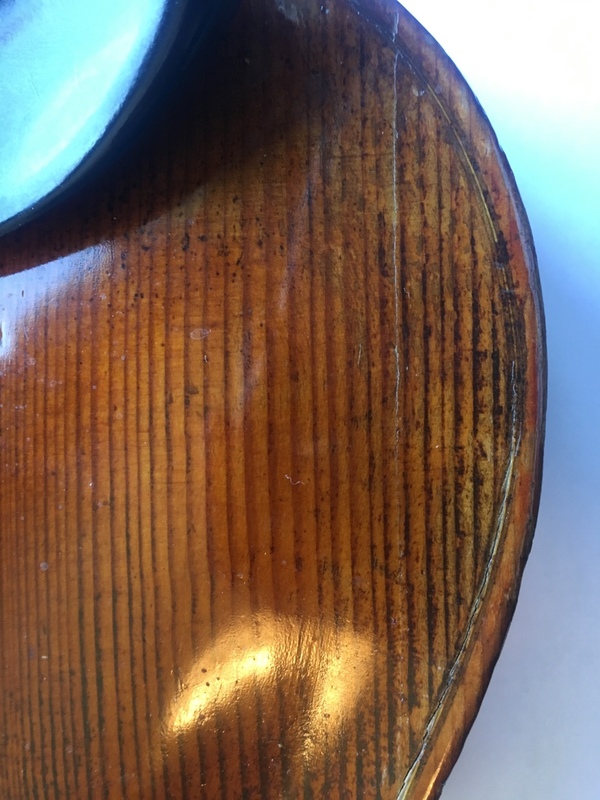 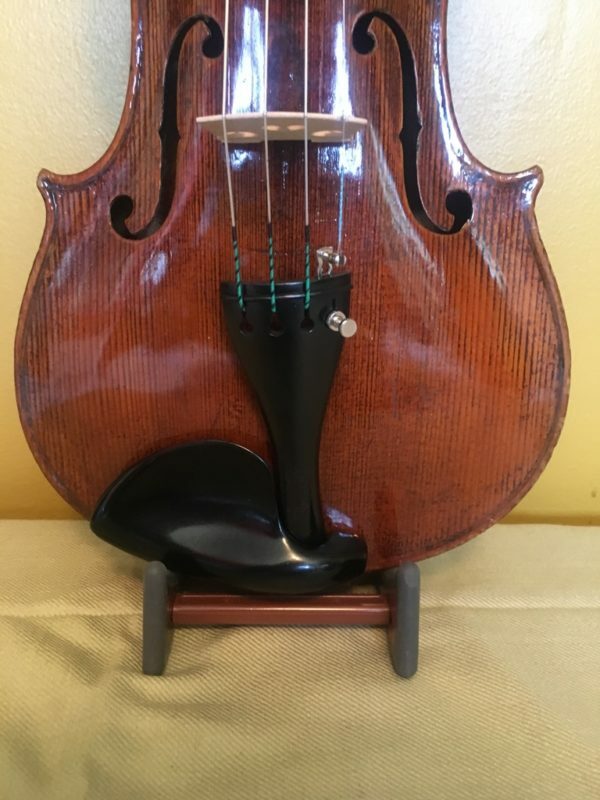 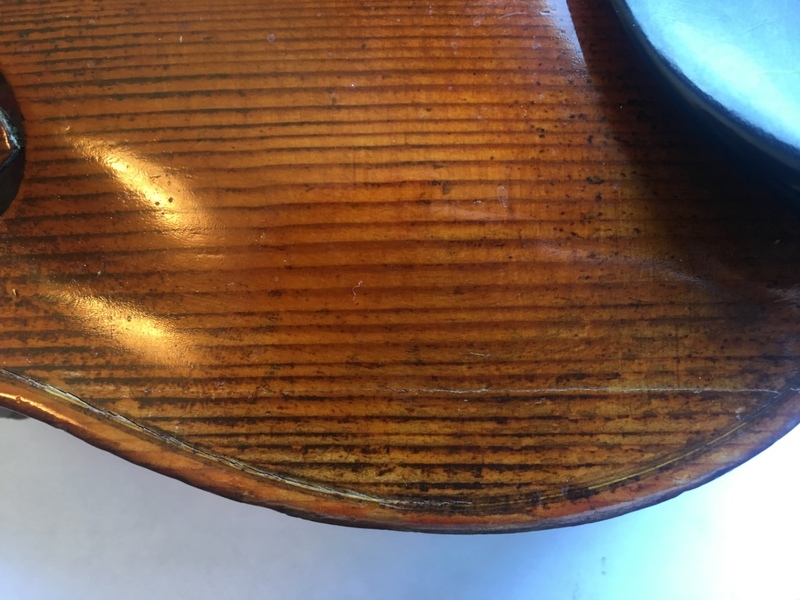 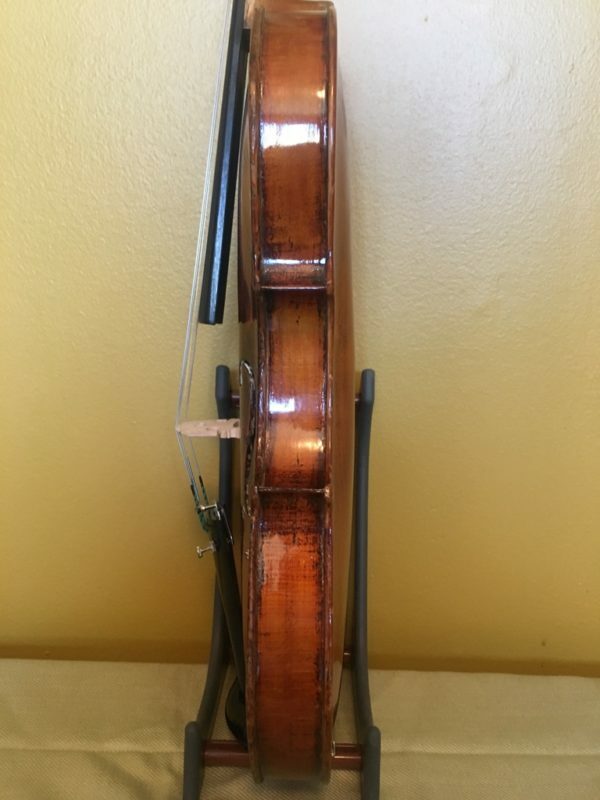 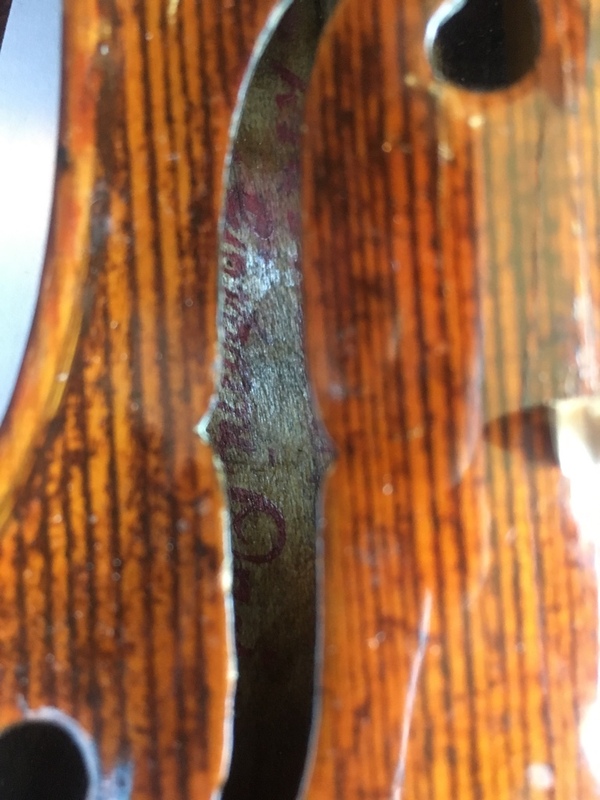 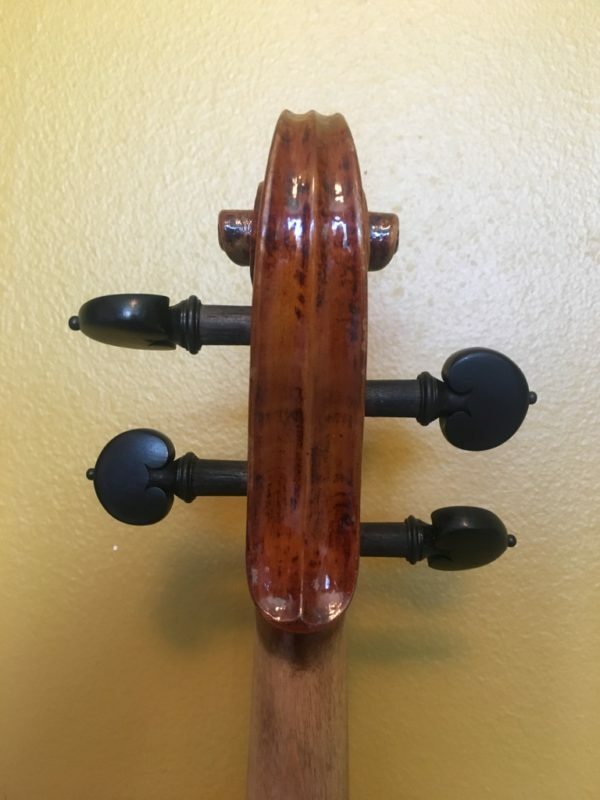 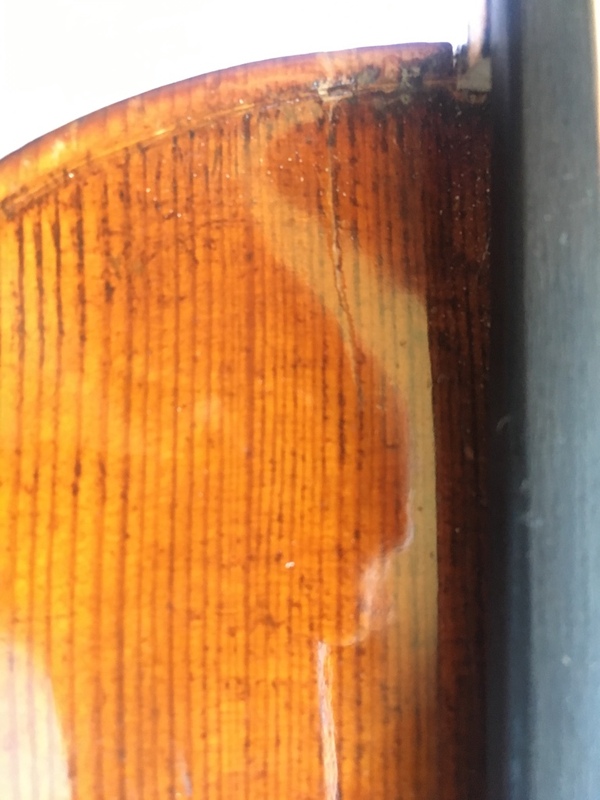 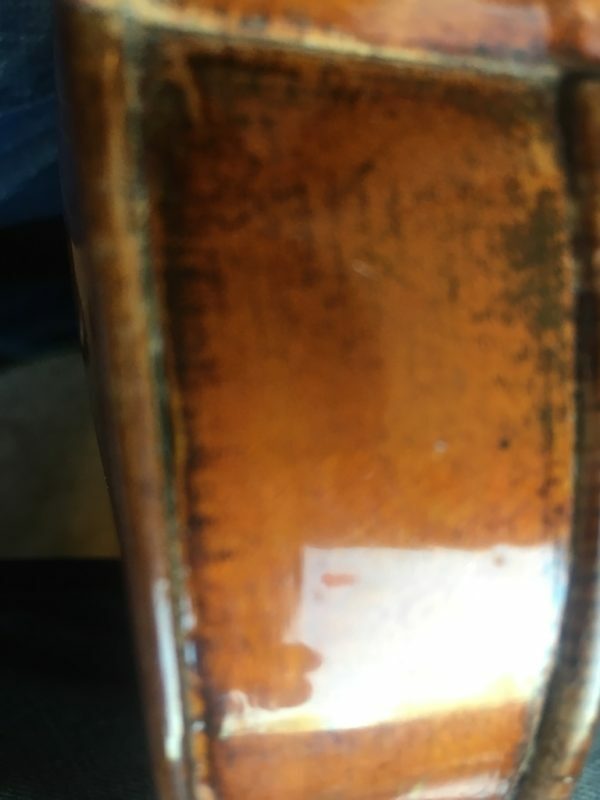 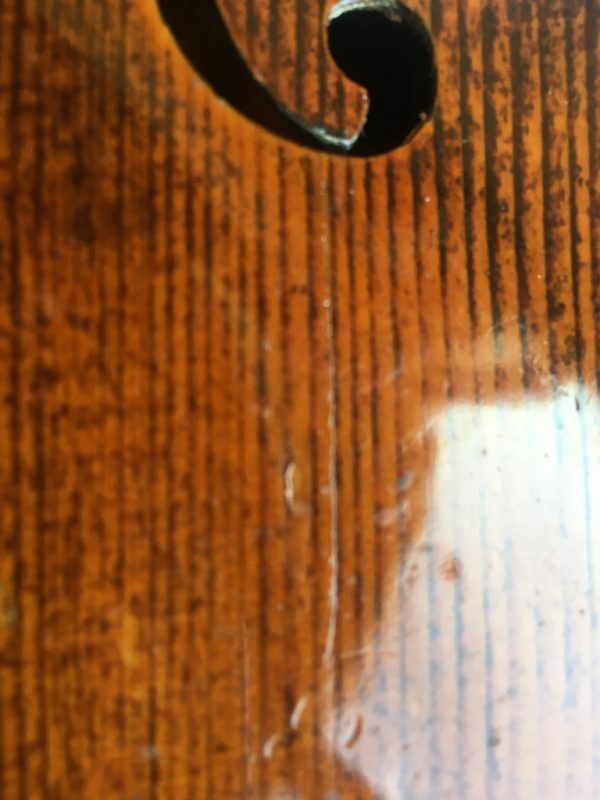 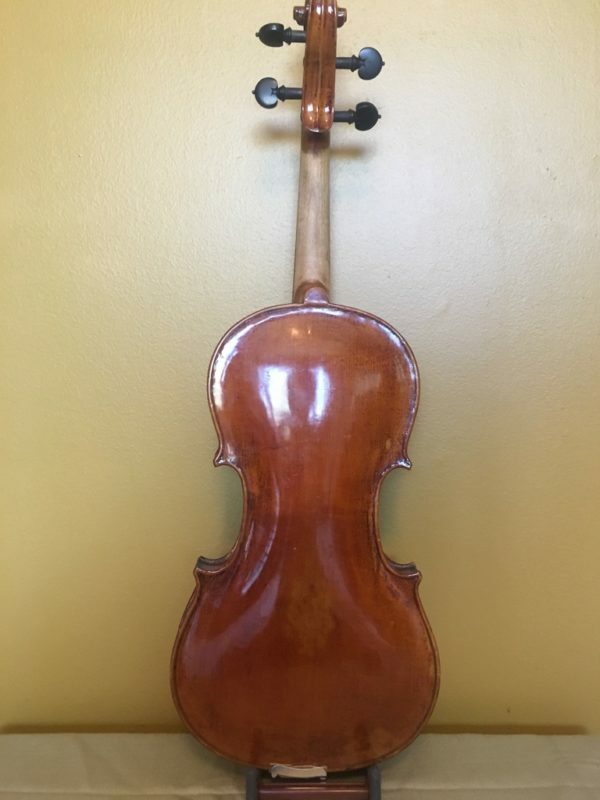 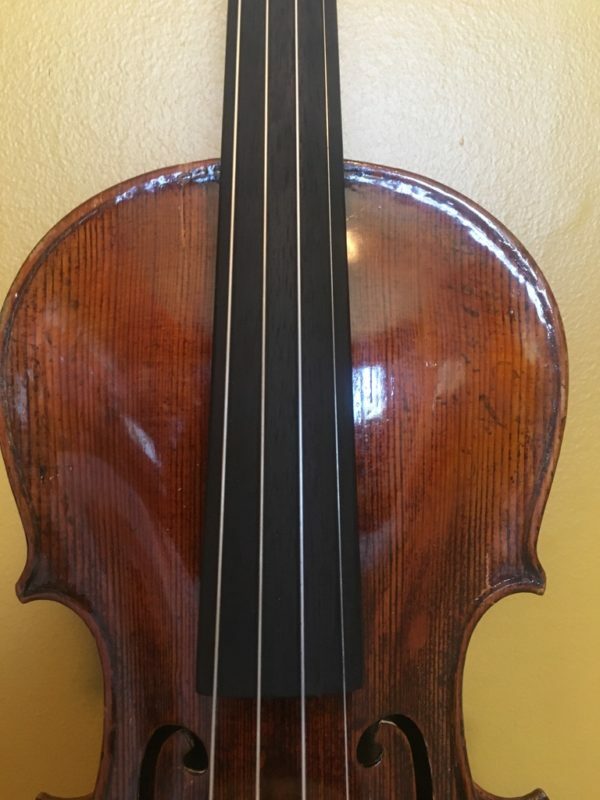 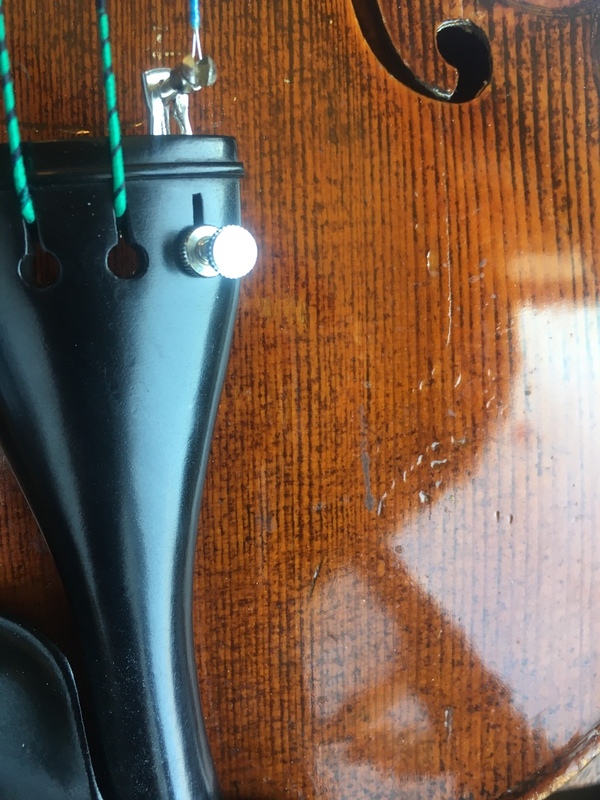 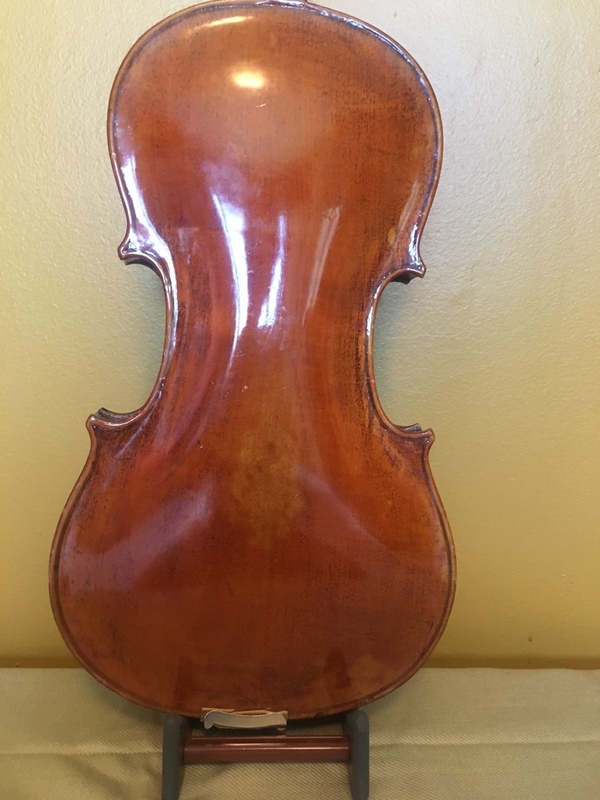 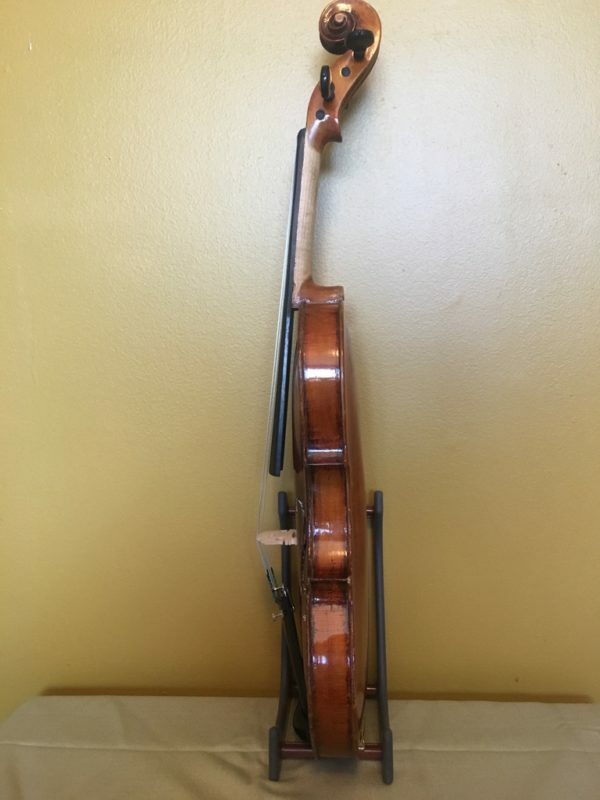 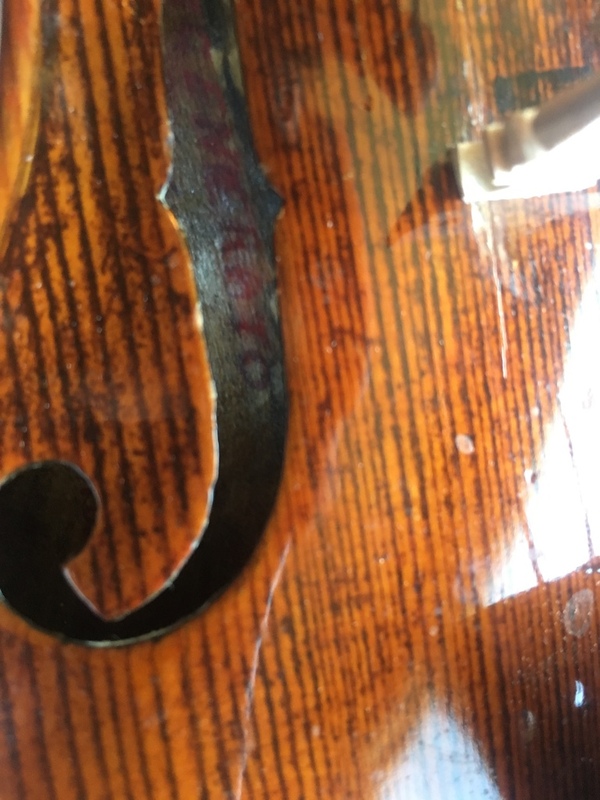 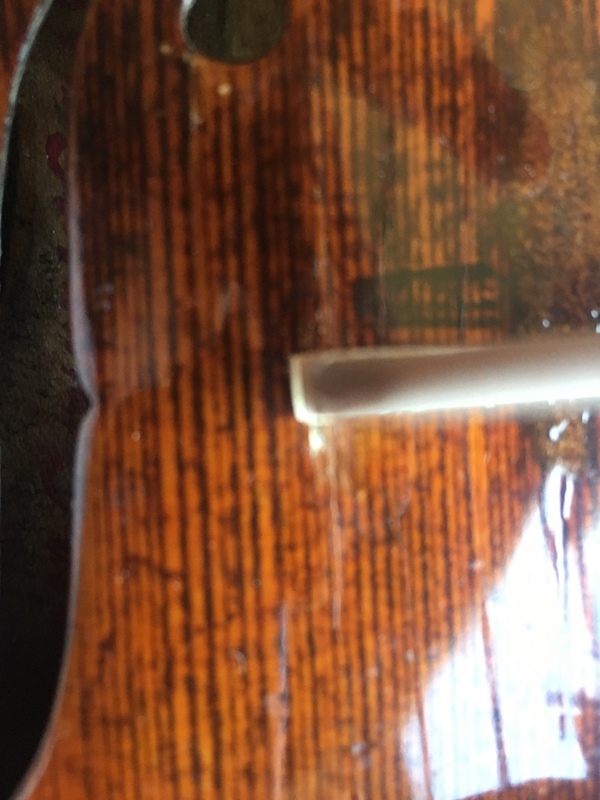 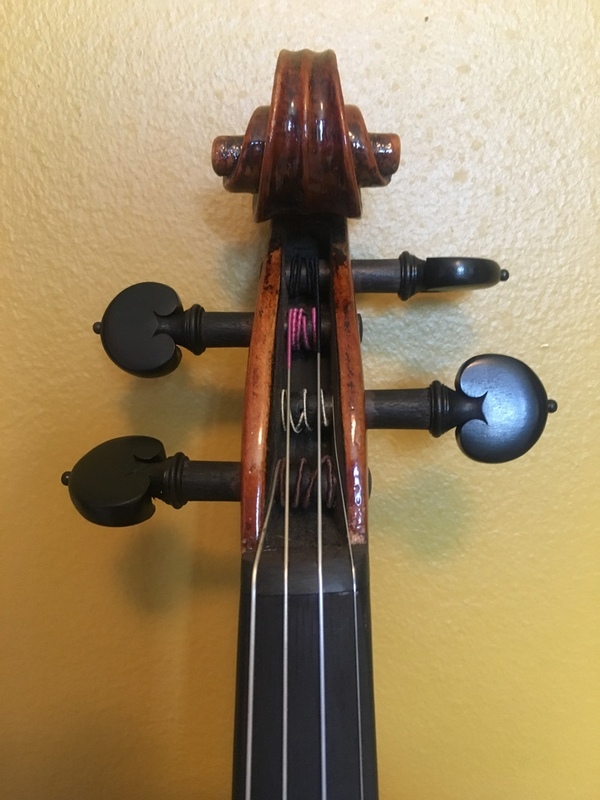 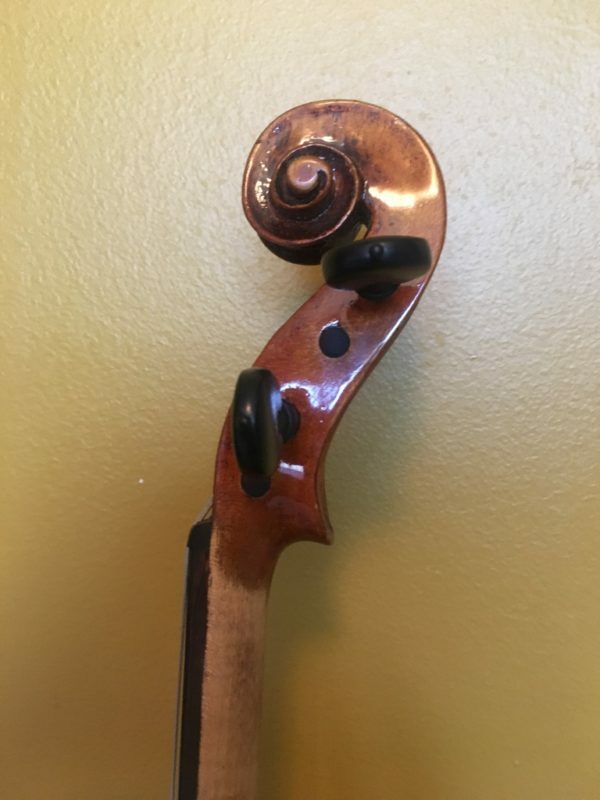 The work done by the previous luthier seems to have safely covered the cracks under the low part of the right f, under the left foot of the bridge, by left upper bout and left lower bout (just left side of the chin rest). 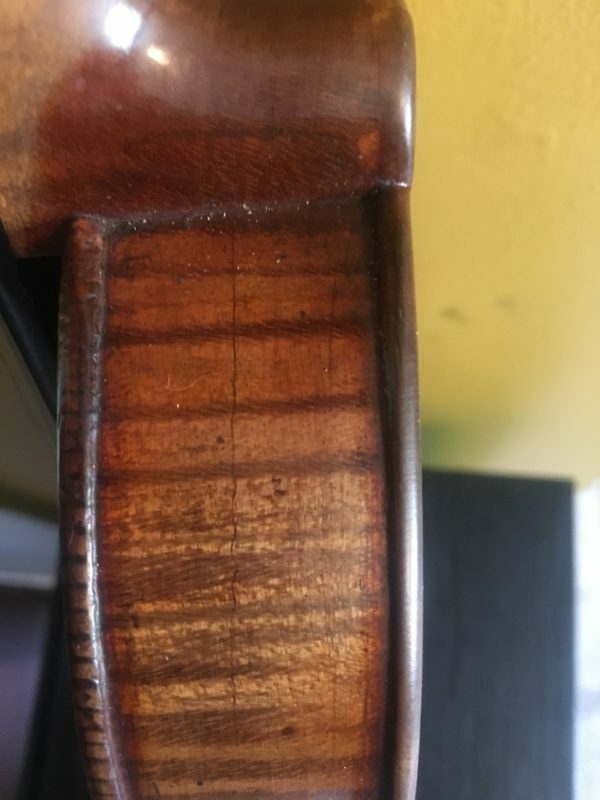 All repairs on top. 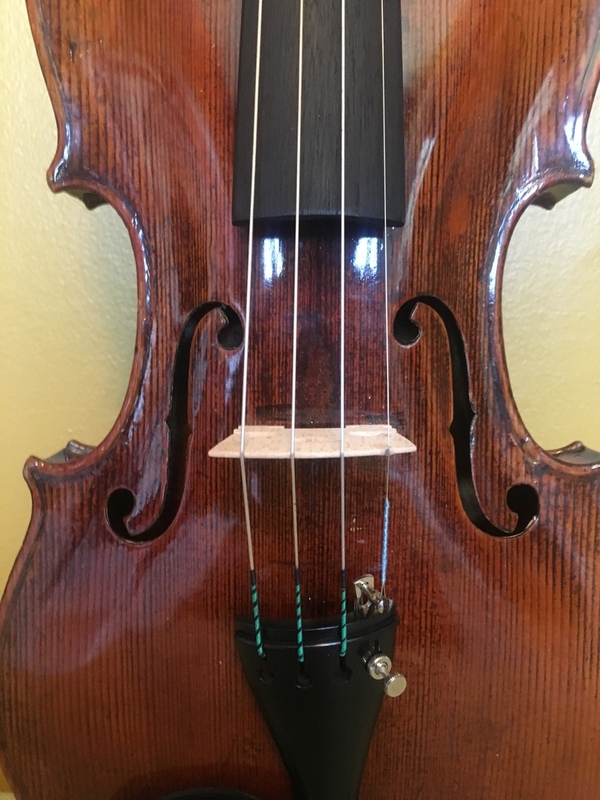 A tiny sim on the rib right upper bout doesn’t affect the tone,. 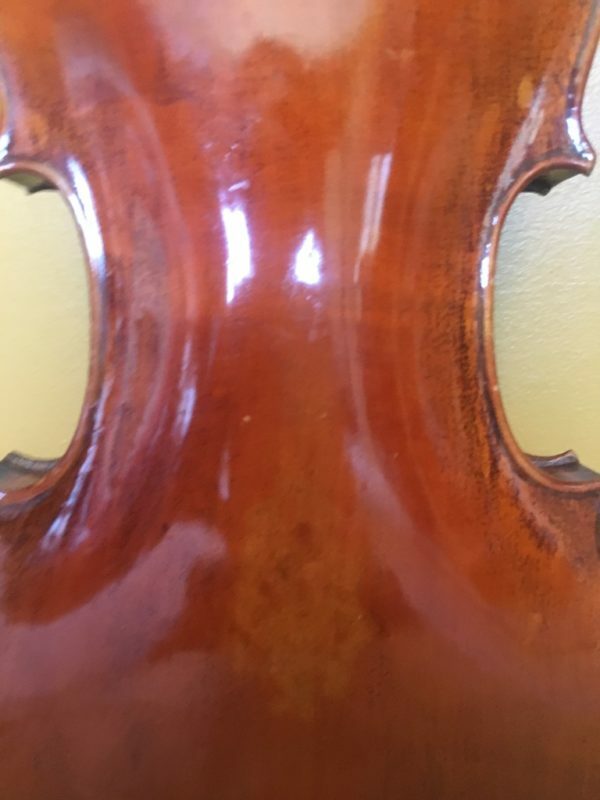 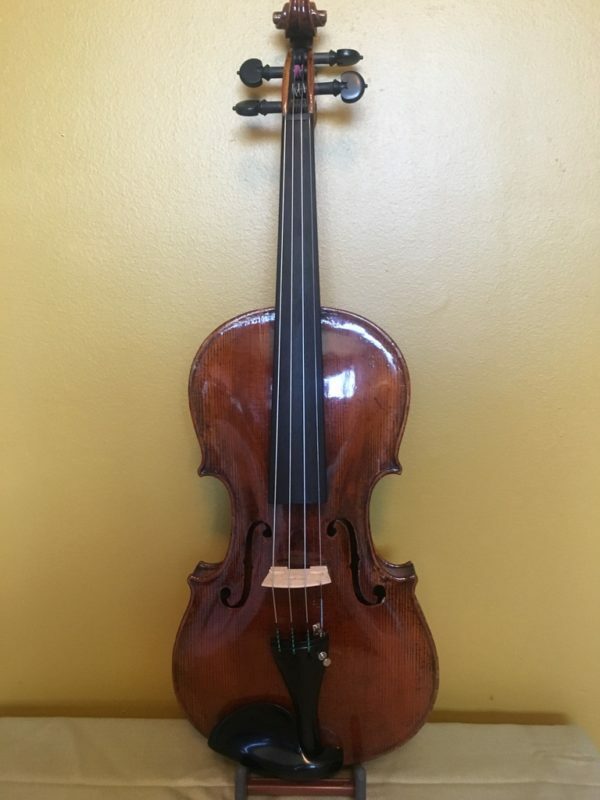 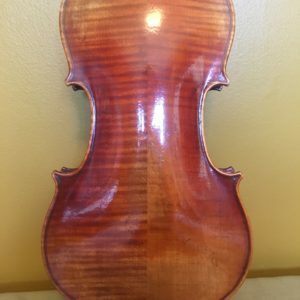 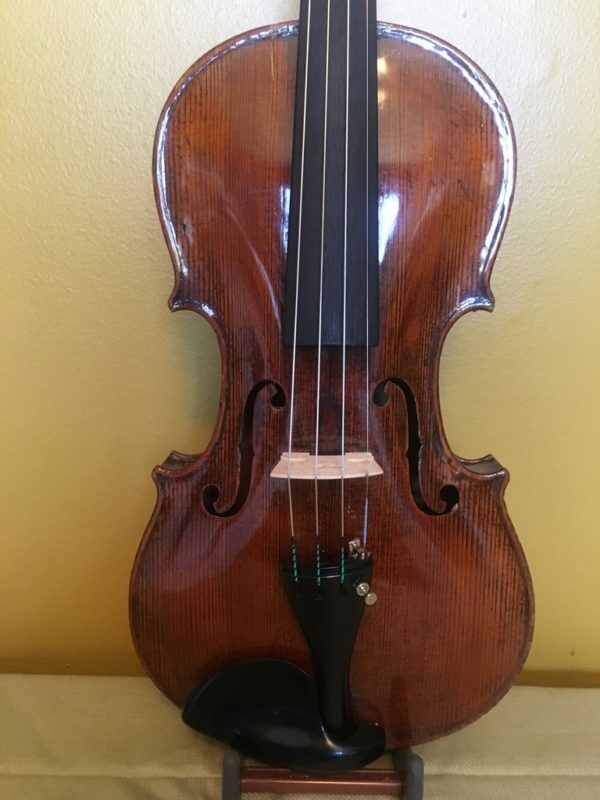 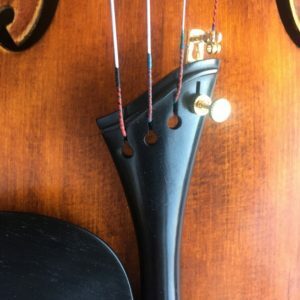 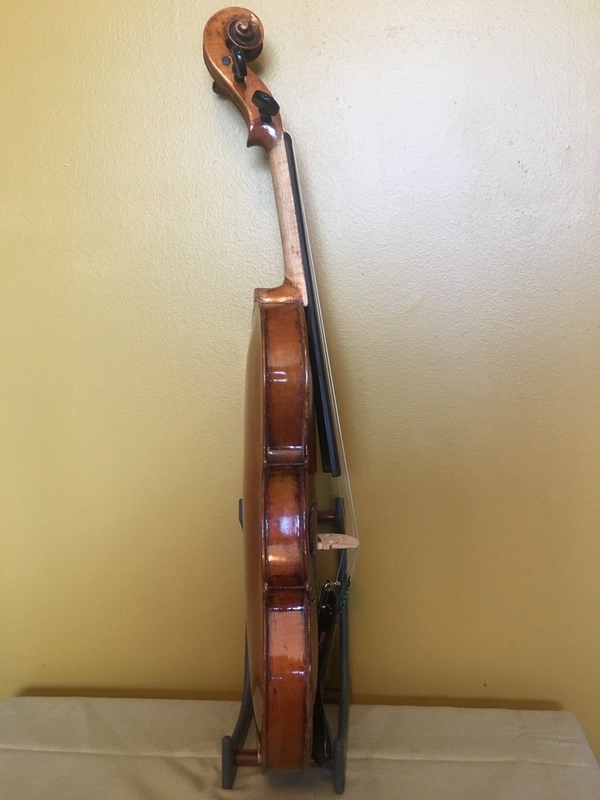 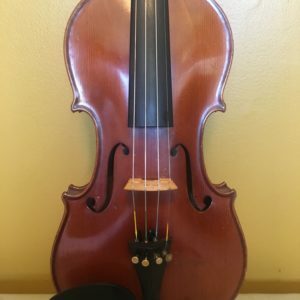 Violins of this quality often go for $4000 or more. 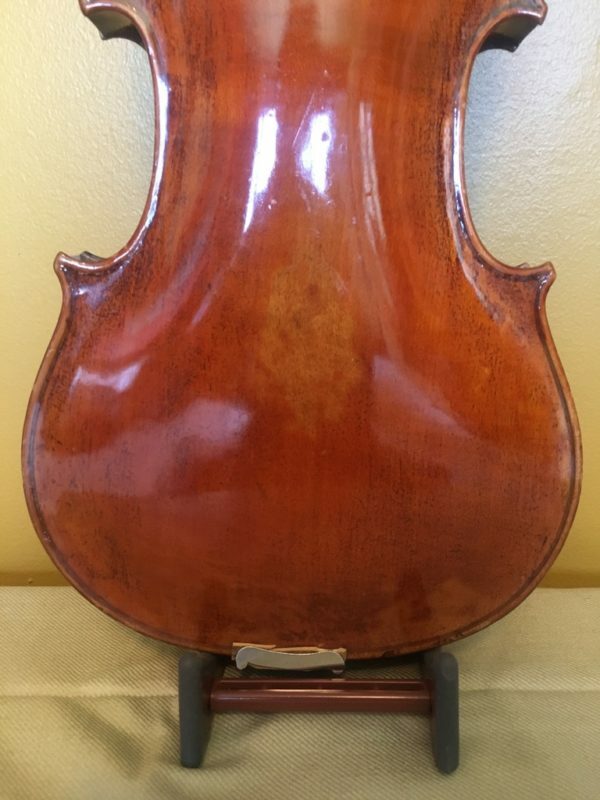 I had it priced at $3200, currently asking $2550.